We respect your privacy. 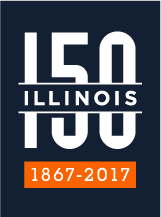 The information you provide on this form will be held in confidence by the University of Illinois and will be used only for University-related business. Please provide a brief biography, and indicate below whether we may share it via our newsletter or website. If you would like a photo to accompany your biography, please email it to Dr. Anna Nesbitt. Would you like your biography included in our website and newsletter?